Home » Ex Atex Delvalle » Why go to LED lamps? Why go to LED lamps? LED lamps are democratizing the market for industrial lighting. Included Atex sectors. the life of LED lamps is much higher than that of other technologies: up to 100 000 hours (laboratory) 40 000 h on the market (several decades of use) against 1000 hours for incandescent lamps, 2,000 hours for halogen lamps and 10,000 hours for fluorescent lamps. Thus, the purchase and replacement of an LED lamp are less frequent, which improves the profitability of the investment. with significant potential for growth if an isolated LED displays very energy efficient (150 lm / W and up to 220 lm / W for the best performing), an LED lamp has an efficiency of between 40 and 80 lumens per watt. This performance decrease is notably due to the heat produced by the diodes side by side in the lamp. Thus, LED lamps currently marketed typically have a much higher energy efficiency conventional lamps: 70 lumen / W fluorescent and only 16 lumen / W for incandescent lamps. Moreover, technological developments should improve the efficiency of LED lamps for the general public by carrying around 100 lm / W. The LED “super bright” are already in the laboratory have an energy efficiency of up to 300 lm / W! This means that eventually we will have lights that consume less than 4 watts and that light as an incandescent lamp of 75 watts. LED bulbs reach a maximum level of brightness from the ignition. Indeed, the LED light sources admit ignition cycles and frequent extinction. They instantly emit the desired light output, without revving, which may be advantageous for specific applications such as passageways. compact LED makes them very interesting for replacement sources embedded in false ceilings or difficult access such as large heights (cranes, platforms, warehouses, streetlights). LED modules directly implemented in a luminaire which can integrate an electronic control, facilitate the implementation of the lighting management solutions such as detecting the presence or the variation in function of the daylight. The LEDs operate at very low voltage and even under low temperatures, which can be an advantage for electrical safety in the building. With a temperature rise of only 32 ° C, LEDs do not heat up as much as incandescent lamps (150 ° C) and fluorescent lamps (70 ° C). 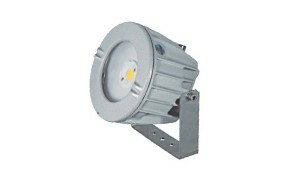 They are insensitive to shock, making them more robust than other lighting sources. The LED color can be used for lighting effects without filter use. Finally, LEDs contain no mercury and are largely recycled as non hazardous waste (unlike fluorescent lamps). How to choose your LED technology? This LED technology power evolves and gains more and more ground in the industry because they are the LEDs that offer the most light from the emitting surface of the LED. This new LED generation is increasingly used in industry. COB LEDs are small light chips arranged side by side to form a larger LED. They have the same advantages as the High Power LEDs but offer a higher light output.The LED COB technology is used in our Fornais series. Pay attention that angle is important. Lower is angle and the more you will have a beam effect. This beam effect can bring a nice design if properly used as side along a wall, for example, but it is totally unsuitable for a main lighting.